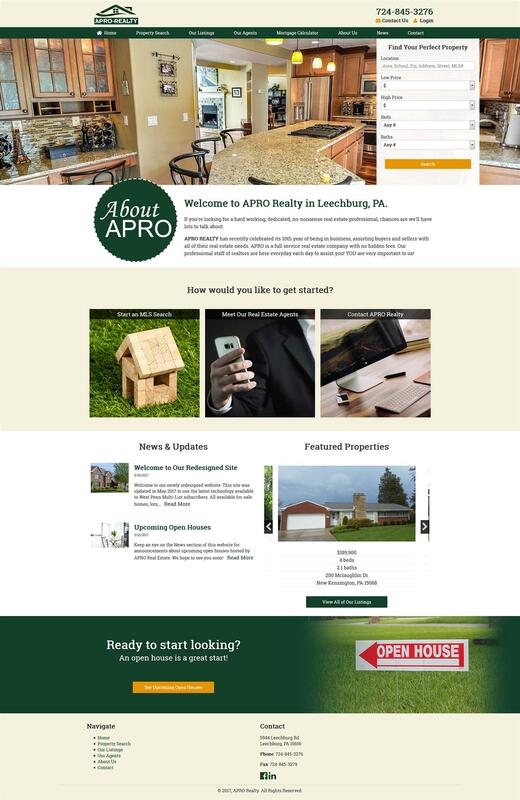 APRO Realty has been a ListingManager™ client since 2008, but their original site was designed before mobile-friendliness was a necessity. They asked for their site to be modernized, and were impressed with how many improvements and new features were available by upgrading to ListingManager™ 4.0. The APRO team find their onsite Mortgage Comparison tool especially useful. Their old site had a simple mortgage calculator, but now the agents are able to compare up to three mortgage variations side-by-side and calculate amortization with one click. Single mortgage estimates are also featured on every property listing to make the home buying process even easier for their clients. A blog will also be kept updated with information about the housing industry, as well as announcements about upcoming open houses. Experience the full site at www.aprorealty.com.